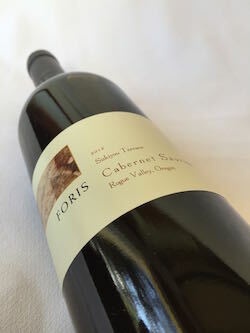 Foris Vineyards of Cave Junction, Ore., which has entered its fourth decade of production, brought in Cabernet Sauvignon grapes from the Siskiyou Terrace Vineyard of the Rogue Valley for this wine and turned them into an elegant sipper. It shows off ripe blackberry, black currant and spice in its aromas and flavors before closing with restrained tannins. This earned a gold medal at the 2016 Cascadia Wine Competition.